The heart of yoga can be found in the 2,000-year-old yoga sutras—195 seed verses written by the legendary yogi Patanjali. 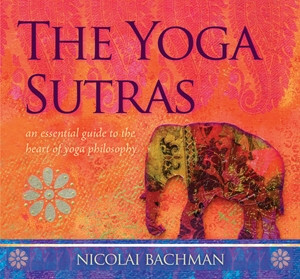 With The Yoga Sutras, esteemed Sanskrit scholar Nicolai Bachman has created an audio journey that explores and translates these ancient wisdom teachings for a modern audience. Including exercises for cultivating self-awareness, humility, discernment, and mindful change, The Yoga Sutras provides tools that are as practical and useful today as they were in the days of Patanjali himself.